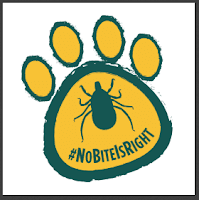 This post is sponsored by No Bite is Right and the BlogPaws® Pet Influencer NetworkTM. 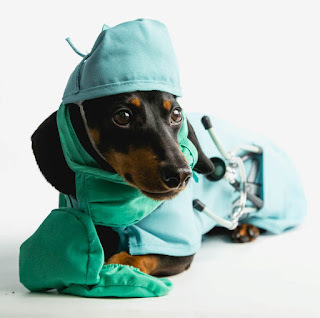 I am being compensated to help create awareness about Summer Safety and Protecting Pets against fleas and ticks, but weonly share information we feel is relevant to our readers. The blogger is responsible for the contents and not the sponsors mentioned above. 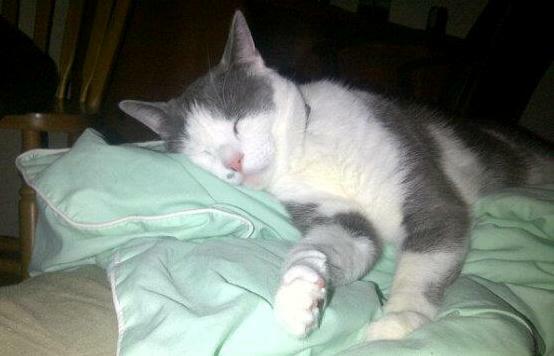 I have always been an animal lover for as long as I can remember, and as soon as I moved on my own I got a cat. Since there's plenty of animals at shelters, I visited the local Toronto Animal Services shelter and adopted my furbaby Mr. Jingles. Unfortunately, after being blessed with ten loving years with him, he passed away December 2015. Regardless of that, the little furball was famous for somehow getting fleas. The little Stinker had fleas and ear mites from day one, and it was a struggle in the beginning to get it under control. The reason why I'm bringing this up, is that spring is here and the summer months are quickly approaching. What does that mean? It's flea and tick season, and the whole ordeal can be easily avoided if you take the proper precaution. "No Bite Is Right... Why? Because you love your pet and you would do anything to protect them." The No Bite Is Right™ campaign is happening across Canada, and kicks off this month through to the end of May. 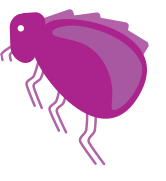 It's main purpose is to bring awareness to flea and ticks... no biting means less irritation, and reduced risk of disease and infestation. Be sure to make your seasonal vet appointment, to help discuss your flea and tick prevention options. Did you know that fleas and ticks are a rising problem across Canada, and they can spread many harmful diseases? Most flea and tick medications are known as Systemic products, which are chewable treats taken orally. How these type of medication works, is that it actually requires the pest to bite your pet because the medication is running through the pet's bloodstream. The pest has to keep feeding until it's ingested enough of the product to be killed. This leaves your furry friend vulnerable since diseases are transmitted through the bite. However, with non-systemic products, otherwise known as "contact kill", when the pest lands on the pet, it becomes uncoordinated. This allows time for the medication to kill the pest, and reduce the risk and chance of disease transmission. I don't know about you... but I'd rather stick with the "contact kill" type once I get another cat. Ticks are eight-legged parasites that have highly developed mouthparts to pierce through the skin of your pet and feed on their blood. As of this year, ticks have been found across Canada, including British Columbia, Alberta, Manitoba, Ontario, Quebec, New Brunswick, Prince Edward Island, and Nova Scotia. Symptoms of Lyme disease include pain, fatigue, kidney failure and death. It has been declared an endemic in southern British Columbia, Manitoba, Ontario, Quebec, New Brunswick, and Nova Scotia. 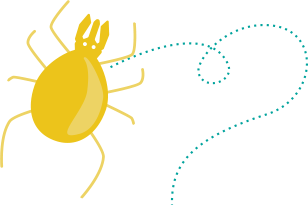 Ticks love milder weather, so there's usually an increase of flea and tick bites in the spring and fall seasons. Fleas are horrible pests that feed on the blood of cats, dogs, humans and wildlife. Once on your pet, fleas will bite up to every 5 minutes leaving your cat or dog itchy, sore and uncomfortable. 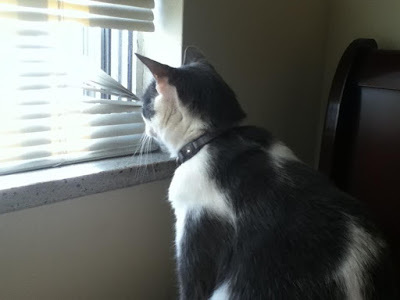 Mr. Jingles - Having to deal with a flea infestation at home isn't fun. 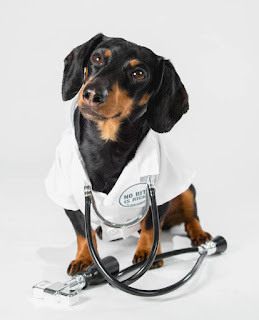 Don't you think that Crusoe the Celebrity Dachshund is super cute?! If you're an animal lover like me, you gotta think that he's a cutie. Enter to win an appearance by Crusoe the Celebrity Dachshund at your vet’s clinic! vote per person per day. For an extra vote, tag a friend! Follow Crusoe the Celebrity Dachshund on the campaign! This is a sponsored conversation written by me on behalf of Bayer, Inc. The opinions and text are all mine. (i) Anderssen, Erin. How ticks became a major public health issue. Globe and Mail. August 9, 2015. Accessed online on March 15, 2015. Available at http://www.theglobeandmail.com/life/health-and-fitness/health/learning-tocope-with-a-tick-population-on-the-rise/article25878878/. (ii) Anderssen, Erin. How ticks became a major public health issue. Globe and Mail. August 9, 2015. Accessed online on March 15, 2015. Available at http://www.theglobeandmail.com/life/health-and-fitness/health/learning-tocope-with-a-tick-population-on-the-rise/article25878878/. (iii) Ipsos Reid. Survey of Canadian Pet Owners currently utilizing parasite treatments in dogs and cats. 1,001 Canadian pet owners currently using a preventive flea/tick medication. Canada. November 2015. Online. I am sorry to hear about the loss of your cat. I had no idea fleas were such a problem in Canada. We do not have a huge problem with them here. What a fun giveaway. Losing a pet is always heartbreaking and I am sorry that you've gone through that pain. We always take steps to protect Riley from fleas. I did not realize that fleas and ticks were such a problem so far up north. I figured that your months of freezing temperatures would greatly reduce the risk on infestations. I have always had pets, even as a child. Living in south Texas, fleas and ticks has always been an issue where animals are kept. Not only do these pests bother dogs and cats, but also horses, cows and even wildlife like deer and squirrels can be infested with them! I apply flea prevention drops once a month on my cats. They are not 100% flea free, but the fleas are definitely more under control WITH the drops than without! Crusoe is super cute! This is good info. I have heard that some animals get fleas but I didn't think about ticks and how dangerous that can be. Good info. Sorry for your loss, So glad that I found this glad and loving your tips and ideas. Sorry for your loss. Ticks are thick in my area. I recently found one crawling on my neck.